Oh my goodness. We have found the most awesome subscription box ever. TinkerCrate. My children had a BLAST putting their invention together. Once a month, children will be able to explore endless possibilities and become scientists / engineers / builders / developers / designers. You name it! Science, Technology, Engineering and Math… meet FUN!!! TinkerCrate comes with everything that your children need to create something wonderful. Instructions that are SIMPLE. Tools that are MANAGEABLE. And end results that are … well… AWESOME. My kids made a motor. YES A MOTOR!!! AHHHHHH. The only thing I helped them do was wind the wire around a circle. They could have done it on their own, but they wanted it to be a family affair. Here’s a quick video showing us in action. 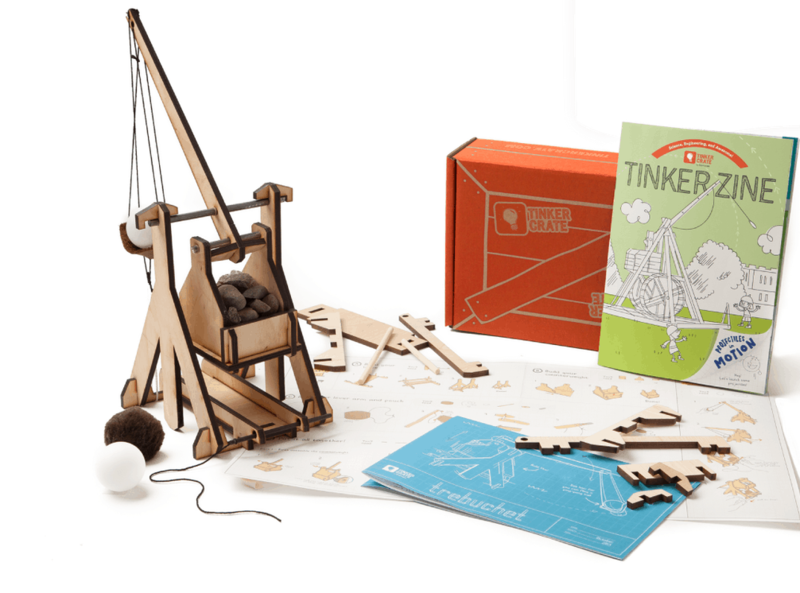 The TinkerCrate subscription is the PERFECT holiday / birthday girl for any boy or girl in your life that is looking for a mental adventure. Get your kids thinking and using their hands. Unplug and get creative!! Click here for more information and watch your child’s creativity and confidence grow each month with TinkerCrate.